This year, the Senior School Ski Trip went to the new destination of Pinzolo in Italy. Following the flights, the group had a stop for lunch and city tour in Verona. This is famous for its impressive Colosseum as well as being the setting for Shakepeare’s ‘Romeo and Juliet’. Upon arrival at the hotel, we sorted the ski clothing and rooms and were then had a well earned rest before getting ready for the first day of skiing the next morning. Six glorious days of skiing followed with near perfect conditions and a wide range of slopes to cater for all abilities. 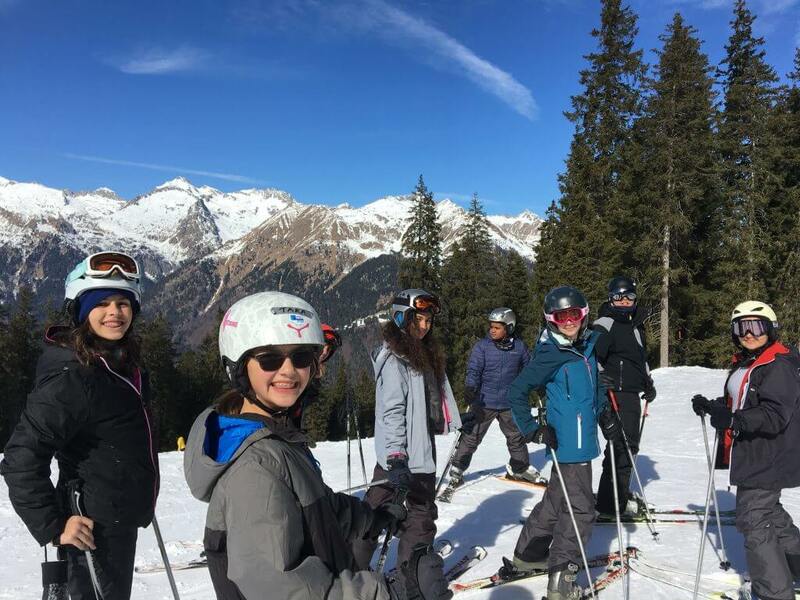 All 47 students really developed their skiing whether they were on the slopes for the very first time or were seasoned skiers with many weeks of skiing under their belts. The evening activities consisted of a torch-lit night walk through the forest, a quiz, disco and a visit to a spa and thermal bath complex, all of which were very entertaining. A great week, a week of memories made and many comical moments. We have already booked the same hotel and resort for next year! !